The temple of Lom Kaen in the devastated tourist hub of Phuket, Thailand, is for many the last stop in the search for missing loved ones. No small Frey: Amber media blitz begins. Anna Nicole claims judges were "paid off." Martha loses prison contest. Under scrutiny for its harsh interrogation methods at Guantanamo, the U.S. plans to move some terror suspects to "permanent" prisons in other countries. 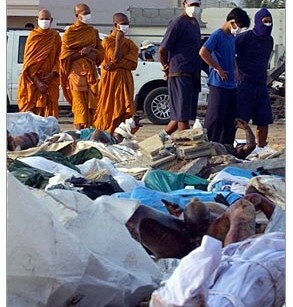 As promises of aid for tsunami victims reach $2 billion, nations turn to the daunting task of delivering timely relief. A new Internet-based public health program in San Francisco allows gay men with STDs to anonymously inform their partners via e-mail. He wants friendship but I want more -- could this be part of a negative pattern? The Rose Bowl thriller had everything good about college football -- and everything bad -- in one broadcast. Also: Google closes its digital library doors, and Dennis Kucinich's blog rocks your world. 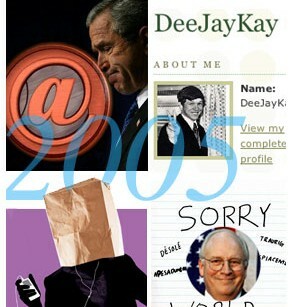 Salon's technology and business predictions for 2005. 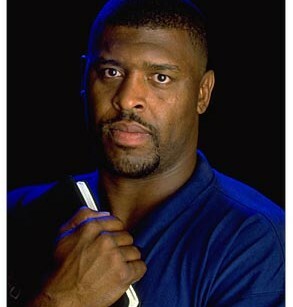 Reggie White used to thank God for helping him sack quarterbacks. But before his death, the football star confessed that sports trivialized faith and religion. Will his message be heard? Bullock, DiCaprio dig deep; Vince Neil drops F-bomb on Leno; and what does Al Gore have to do with Paris Hilton?